Thank you for choosing Cottesloe Naturopathic Clinic to manage your health and well-being. Symptom relief and increase in energy may be achieved quickly, often in days. However, with the homeopathic system of medicine, in combination with naturopathic principles and lifestyle changes where necessary, the ultimate goal is health. Our mission is not just to relieve your symptoms, but also, with your assistance, to restore, manage and maintain your health as fully as possible. Because achieving that balance may require a little time, we ask for your patience; and because it is important that you understand some of the principles of treatment, please take the time to read this page. If you are given herbal medicine or nutritional supplements, the reason for these will be individually explained, but in most cases when medicines are prescribed, homeopathy is used, which works more deeply and holistically. The following describes their treatment rationale. This is a valid enough question, but it can only be answered if you understand what homeopathy is and its basic principles, because the answer is the same for all patients. Homeopathy is a system of medicine and all homeopathic medicines work in the same way. Unless you have a clear medical diagnosis, in most cases your body is simply out of balance. There may be certain organs underactive and others overactive, which will be revealed by the case history and by iridology. Essentially, the remedy chosen for you is the one that helps to restore balance to your unique symptom pattern, precisely because it covers a similar pattern of symptoms to yours, through all the parts of your body. (The fundamental first principle of homeopathy is the Law of Similars.) 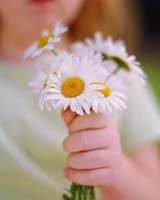 To explore more fully, please read the page Homeopathy explained. The page Naturopathy explained will also give you a general background on the philosophy of natural treatment. Here let us state it fairly simply. The homeopathic understanding is that all your complaints are a reflection of you as a whole. You may be worried about a chronic skin rash, or hay fever, or period pain, or all three. 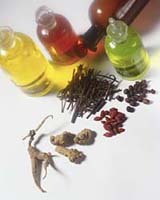 To the homeopath those things are not just problems related to the skin, the nose or the uterus. They are all manifestations of an inner disturbance, in your whole being. Homeopathy calls the inner regulator of health the Vital Force, or life force. So all your symptoms – for instance, your sleep patterns, your fears, your period troubles and brittle fingernails – are important to the homeopath in his or her choice of the medicine needed to treat your eczema or other chief complaint. They all reveal the inner disturbance in health. In fact, they are the same problem coming out in different ways. The eczema will never be permanently fixed unless all are taken into account, for all are a reflection of the same problem.It is the homeopath’s “job” then to look at the overall pattern of symptoms. Through knowledge of similar patterns in homeopathic remedies, the medicine is then chosen that matches that pattern. This provides the necessary information to the life force on an energetic level to begin the process of healing. So the answer to that question is: that the medicines given are those that match your pattern of symptoms. What they should do is begin the process of healing and treat the underlying problem, the disturbance in the body as a whole. As already mentioned, symptoms should improve quickly, but a more full restoration of health is achievable in most cases; and this needs skilled monitoring and changes in treatment. In time, you will not need any more medicine if your body is in a responsive state; otherwise we aim to reach a point where you are in a much better state of health. Under the first prescription your pattern of symptoms should change. Most commonly within a few days there is an increase in energy levels and mental well-being, dietary preferences change for the better and sleep patterns improve. Those things are at the core of your well-being, so your first return visit will usually be scheduled within two to four weeks, when it is important to assess these changes and decide on the next phase of treatment. At that first return visit your whole pattern of symptoms will be reviewed. Depending on these changes, either the same medicine will be continued, but at an increased potency level to work deeper into the disturbance – or a different medicine will be chosen, because the pattern of symptoms has changed significantly. It is not a simple process of just continuing with the same treatment forever. This is where the homeopath’s skill, knowledge, experience and intuition comes in. At this time or at subsequent visits complementary medicines may be chosen to augment the action of the main remedy. Dietary and lifestyle changes may also be discussed, as well as obvious vitamin and mineral deficiencies addressed. may think just because your eczema has gone or your hay fever is better, which was your main concern, then you are fixed and you can stop treatment. Of course you can and you are free to, but you are not necessarily improved completely if other little issues remain. The wisdom of homeopathy tells us that unless true balance is restored on all those three levels then symptoms may return later. So if you really want the most from treatment you should trust your practitioner to advise you on that. In most cases absence of all symptoms for about three months is the time to stop. homeopath’s job to get to the roots of your problem, not just the surface symptoms, even though the surface complaint might appear to be the concern. Homeopathic medicines are absolutely safe. Under the Therapeutic Goods Act in Australia they are recognised as having no toxicity above a certain potency; and if this is the case there are no restrictions on their availability in any circumstances. Historically and in modern practice, any homeopathic medicine in the potencies normally used has been regarded as available to prescribe to anyone, including babies, children and pregnant women. People sometimes think that all natural medicines are somehow “weaker” than drugs, but homeopathy is a powerful stimulus to the body to heal itself and many patients are astounded that so much changes, usually within a few days, sometimes on the first day or overnight. just as easily as bacterial. inherited weaknesses that manifest in allergies, eczema, asthma, chronic fatigue, migraines, arthritis, or even where acute diseases keep recurring. In these cases the body is unable to recover and restore health on its own. Most of what I have been talking about above, in the approach to treatment, relates to this category. Most people present initially with chronic issues. You would already know from what I have said that the core symptoms, those of the mind and emotions, the energy levels, the sleep patterns can improve very quickly, and the physical symptoms of chronic conditions can mostly be improved in a week to a month. This is a quicker response than with many drugs; but remember that drugs only treat the symptoms and the underlying condition meanwhile often advances. Again, remember that homeopathy is working with the body, not against it. And of course achieving true health, where all symptoms are addressed, takes time in chronic conditions. After having used many therapies in more than 30 years of practice, it is our belief that homeopathy is the deepest therapy possible and accelerates the process of healing faster than any other.